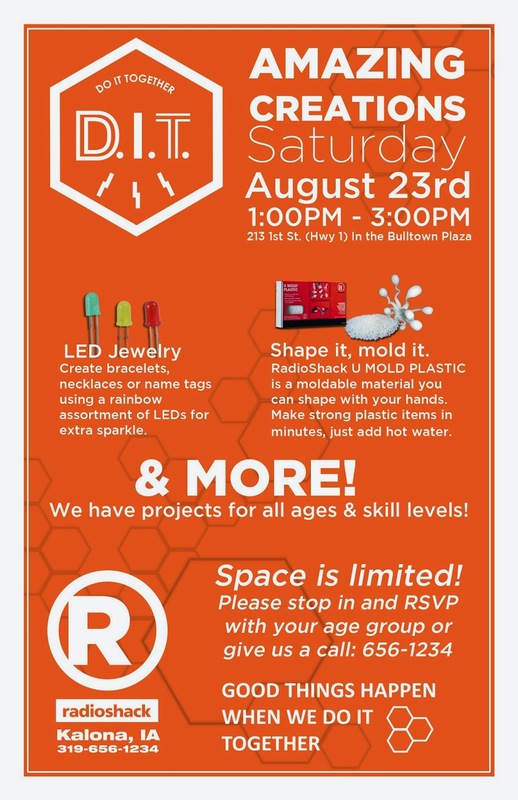 Call RadioShack today to save your spot for our local Maker's Fair. We'll all be working together to make LED jewelry, UMold Plastic projects, batteries made from everyday items, and more. Space is limited so please stop in and RSVP, or give us a call at 656-1234.